Jozibanini Camp is located in the remote south west corner of Hwange National Park in an area only visited by wildlife and park rangers for the past 20 years. This small, truly exclusive camp offers a unique, untamed experience. The landscape here is semi-desert similar to the Kalahari in neighbouring Botswana. Ancient sand dunes are separated by shallow valleys where elephant paths have compacted the terrain, this provides guests with the unique experience of game viewing by mountain bike. Due to the remoteness of Jozibanini Camp we recommend this as a two or three night add-on for guests staying at the following Hwange properties; Bomani, Camelthorn or Nehimba. 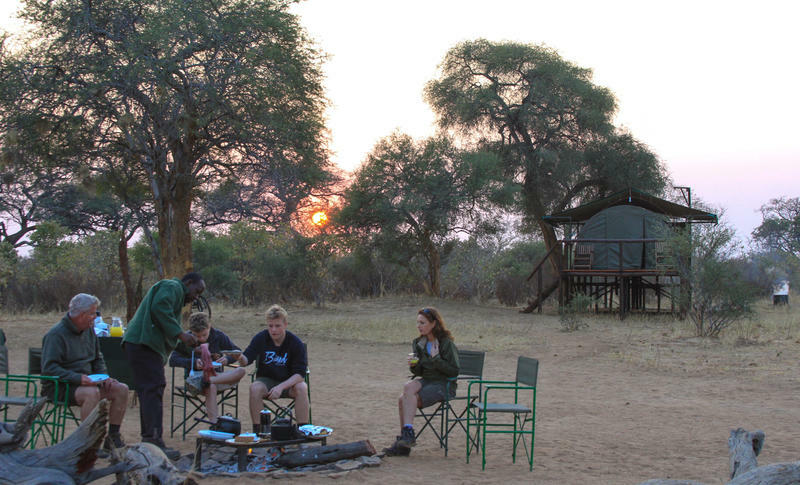 Jozibanini Camp is situated in a very remote area of Hwange National Park. Pick up and drop offs are from the following Hwange Camp’s Bomani, Camelthorn or Nehimba. The transfer is approximately 6 hours and will be conducted as part of a ‘pump run,’ resupplying waterholes on the way to camp, providing guests with the opportunity to be part of the water supply program in Hwange. Alternatively, air charter flights are available from Victoria Falls to Somalisa Airstrip near Manga 3 (approximatly 45 mins), guests will then be collected for a 3 hour game drive to camp. 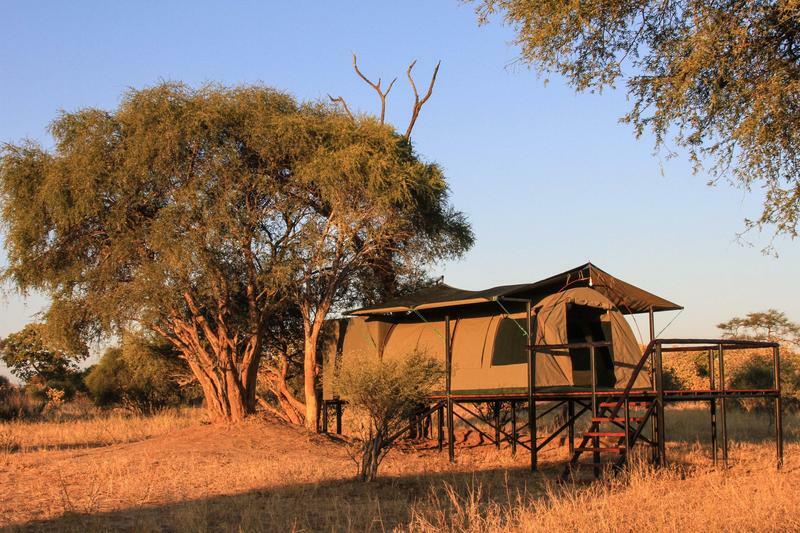 Stay in one of five 20sq tents pitched high on raised platforms overlooking the nearby waterhole. There are three twin rooms with 3/4 beds and two double rooms. each tent has an open air bathroom with toilet and bucket shower. All beds are fitted with wheels so that they are easily wheeled out onto the deck so that guests can sleep under the stars. Specially adapted open 4×4 safari vehicle is available for you to explore the area with your expert guide. Take a relaxing walk with your professional guide, taking time to look for animal tracks in the sand. Learn about conservation and wildlife in this near-desert environment. For the more adventurous, tracking elephant and lion on foot gives a fascinating insight into their lives and often an exciting up close experience with these magnificent animals. Imagine you’re mountain biking through the wilderness when your guide signals you to stop. Feeding casually ahead is a magnificent bull elephant. Your group waits patiently for the elephant to move off, which he does in due course, but it’s a good excuse to break for a picnic under a shady acacia tree. 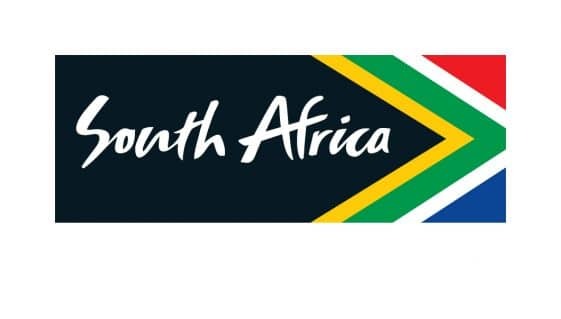 For once, time does not matter and the day is yours to experience the African bushveld. Game viewing by mountain bike is a unique experience, usually impractical in deep Kalahari sands but geography and elephants have worked together to make it a possibility here. A modified shipping container, complete with flushing bathroom has been camouflaged and sunk into the sands, creating a cool, secure place to watch wildlife coming to drink at the Jozibanini waterhole. If you are really enjoying yourself, why not overnight in the blind. An incredible experience, not available anywhere else in the National Park.